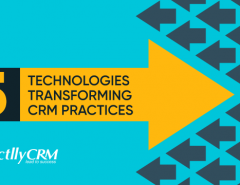 Most modern CRMs help you analyze customer behavior as observed in real life during interactions with your support or marketing teams. CRM also helps you derive insights based on customers’ online behavior ranging from web usage statistics to social media behavior. Understanding customer behavior and making accurate predictions based on insight drawn from customer behavior is crucial for marketing and customer support success. 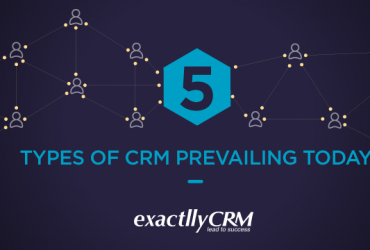 Basic CRM tools do not have the power or technology to conduct advanced customer behavior analysis. 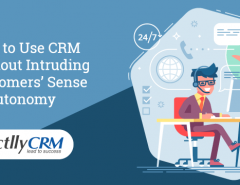 For you to do that, you will need to invest in an advanced CRM with a specialized customer behavior analysis functionality or integrate artificial intelligence, predictive analytics and machine learning into your existing CRM. The approach you choose greatly depends on how much you are willing to invest, both in terms of time and money. 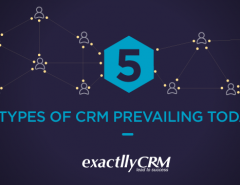 Regardless of your situation, it is important to expedite the process of integrating advanced customer behavior analysis with your CRM for the following five reasons. Accenture recently revealed that 41% of customers switched companies because their personalization was poor. Personalization fails if you do not segment your audience accurately. Segmenting individuals based on their demographic variables will help you only till a certain point. People are individuals and they all think and behave differently. Segmenting customers based on their real-life and online behavior will help you create more accurate groups to whom you can disseminate tailor-made marketing and sales campaigns. After customer behavior is the single-most important variable when it comes to predicting customer retention. 90% of customer behavior is driven by the unconscious mind. Unconscious needs are often unmet and unrecognized, and need to be identified by processing behavioral cues and verbal output. It simply isn’t enough to understand the market and industry trends. Businesses need to dive into customers’ unconscious needs and motivations. Psychological insight can be drawn when we analyze customers’ conversations, interactions and behavior in real-world and on social media. Natural language processing and textual analysis are two ways you can identify what motivates individuals and create buyer personas that are solid. According to 64% of businesses surveyed, data driven marketing is important for successful campaigns. Data can be classified as quantitative or qualitative. Data is useless if it is not relevant and the most relevant data set for marketers is customer behavior. Customer behavior analysis is also important for support teams’ success. Behavioral data is usually qualitative but advanced tools can convert minute behavioral nuances into numbers, rendering them in a quantified manner. This helps you to put a number to each relevant customer behavior and analyze the situation accurately. Based on quantified behavioral data, you can launch marketing and sales campaigns that actually work. A large number of customers feel they are not deriving value from the services or products they purchase. This is mostly because companies often do not understand what customers truly want and desire. Customer behavior analysis helps you draw rich insights based on various behavioral data. Right from web usage to customer behavior during interactions with support teams, there is a wide variety of data available for businesses to analyze and draw insights from. These insights help you to bring value to your customers, and ultimately this is what will help you with customer retention. One of the hallmarks of human behavior is that it continuously changes. Psychologists know that even personality, which is considered to be relatively stable, changes over a period of time. 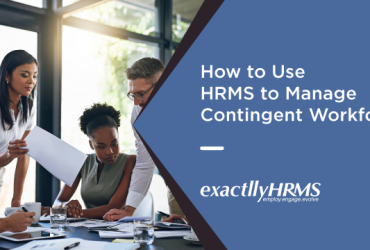 In addition, a number of marketing and sales campaigns fail because they do are not continuously tracked and measured. This is why, continuously measuring, tracking and analyzing customer behavior is very important for marketing and sales, as customer behavior can rapidly change. It is important to not only measure and track campaigns, but also track and monitor customer behavior on which these campaigns are actually based. Customer behavior analysis is the basis on which marketing and sales campaigns should be built upon. Measure and track key performance indicators related to customer support, marketing and sales. Alternatively, you can simply invest in an advanced CRM solution which comes with in-built features to analyze customer behavior.